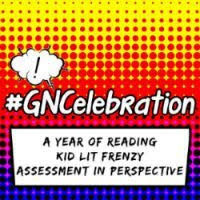 I’m happy to join the celebration of graphic novels, especially since I’m finding it a form that can discuss interesting topics in complex ways and, happily, appeal to readers of many different strengths and interests. Instead of only focusing on non fiction (as per my usual), I’ve found this “based on true historical event” graphic novel that has much to offer in terms of American history and the frailities of human nature. 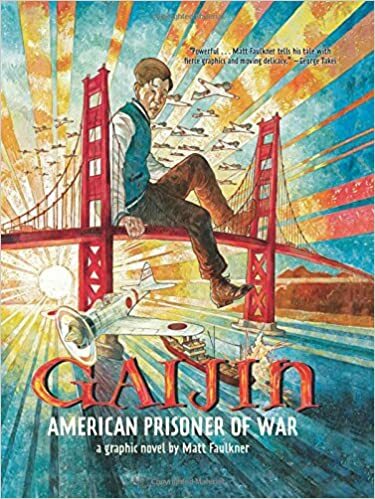 Gaijin by Matt Faulkner relates the travails of Koji, a biracial teenage boy living in San Francisco, sent to an internment camp shortly after the attack on Pearl Harbor. Within the closed confines of the camp, Koji sees a society under pressure with resulting discrimination, bullying, and hatred. Seeing these people turn on each other offers great discussion possibilites about peer pressure , ethics, and morality of both individuals and society at large. The graphic novel format makes it a relatively quick read. It could be a greast choice for a reader who is interested in war and history but might not be convinced to try an in depth history–yet.